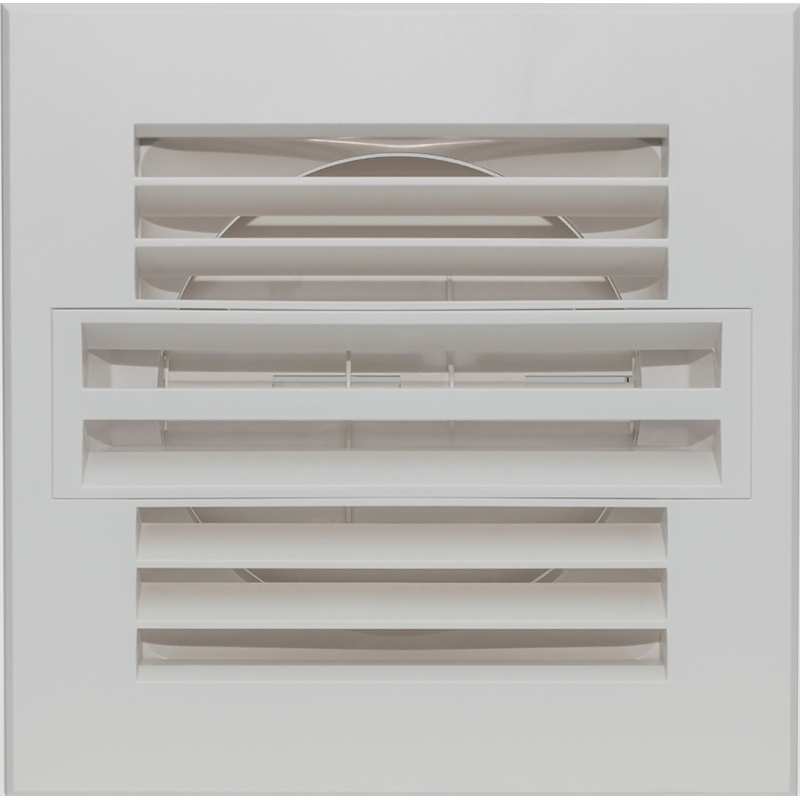 Linearjet uses interior design elements to move ceiling diffusers into the 21st century. 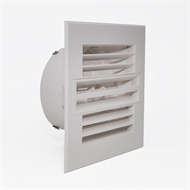 With an attractive slimline design and deflective blades for superior airflow, these diffusers have a modern style that subtly enhances the décor of your room. It is a great alternative to the plain round down jets that are in most homes. 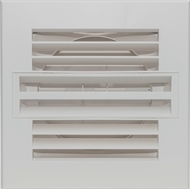 Linearjet's square ceiling vent design is a more attractive and discrete design than the traditional round down jets. High quality ABS is used that wont yellow with age. Computer aided design ensures high performance and ultra quiet operation. Linearjet will perform as well or better and more quietly than round down jets - and will disperse the air more widely. The neck is 200mm and the face is 310x310mm. 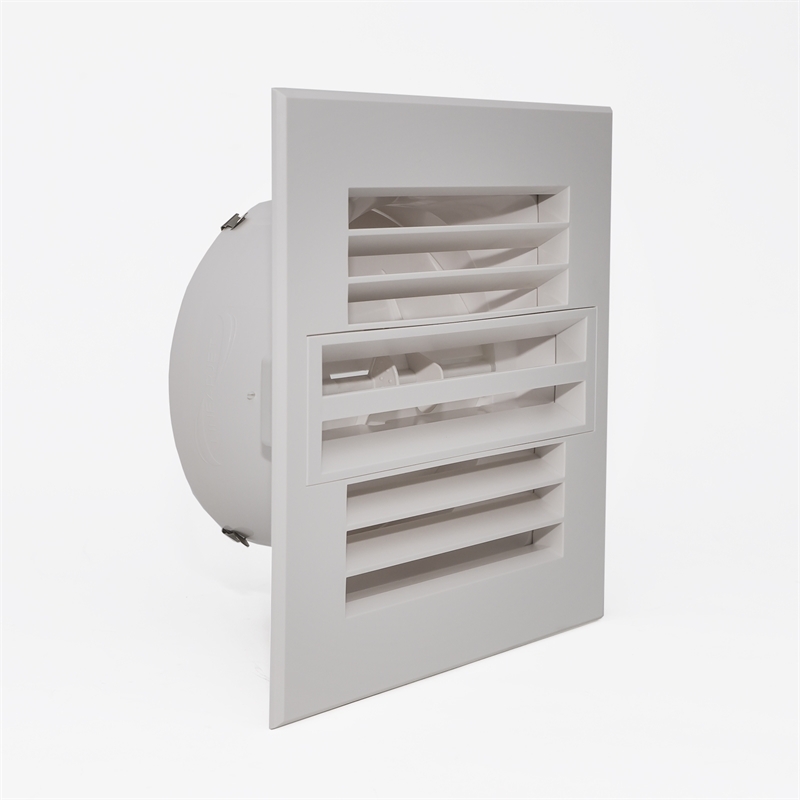 The removable access panel is wider to assist with air dispersion - and an be removed in seconds for easy air adjustment or cleaning.